Have you ever seen mother nature do something that captivated you? That just challenged some part of your soul that you just hungered to go after it? Whether you've actually challenged the elements or watched someone else do it. There's no mistake that the earth around us is a phenomenon to behold. As for myself, I love one part of the earth that I both love and hate. It gives me such exhilaration and also complete discouragement. I've been shaken and spun like commercial smoothie blender and sailed with perfect balance. It continues to draw me in day after day, week after week, what is it. The more I've ridden the wave, the more I've found that it's a lot like life. 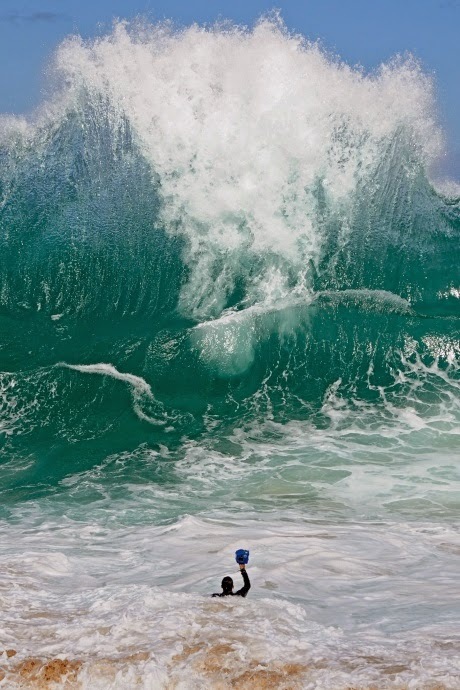 There's so many dynamics to the wave: timing, momentum, power, angles, danger, proactivity, excitement, and alignment. Some of my greatest lessons have come from watching and riding with - the wave. I love life and want to chase after it's challenges and adventures. So I look for those people who want to get the most out of life too. Amazing things can happen when you surround yourself with people who refuse to settle, who are so passionate about what they do it startles you. I call them "The Strivers." Strivers fight for their dreams even if they won't see the realization of them in their lifetime. They inspire those around them, not because of their results, but because of the blood, sweat, and tears in their efforts. 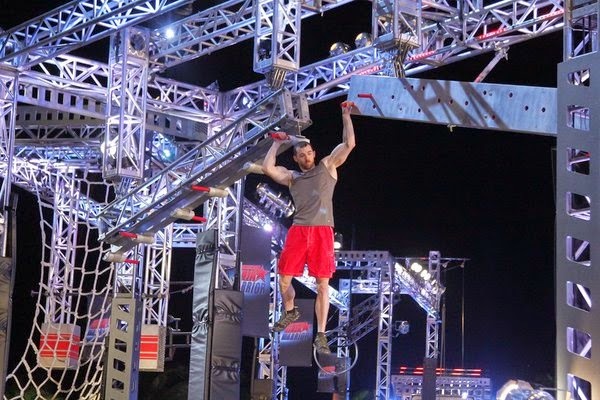 You find those guys grappling one obstacle after another - like on American Ninja Warrior - fighting for one purpose - to reach a goal, realize their dream, and inspire other people to do the same. One of those "strivers" is a guy I met, who went from broke, climbing trees to eat his breakfast (Mmm... Papayas) in Hawaii, to becoming a Millionnaire with an amazing family. I attended one of his events call "The Answer to Everything -." It was 3 days, not like an 8 hour day, like 12-14 hour days. I went to it. And it changed my life. He's a cool guy, loves cars, planes, hiking, and eating sushi. "For things to change, I must change, for things to get better, I must get better." 1) First off, if you decide to go, depending where you live, bring layers. I've seen people from the deserts of Arizona freeze their pants off, because they didn't bring layers (just depends what you're acclimatized too) - they make sure the room is really cool. Which Brandon is smart that way, people don't pass out mid-event. But if you don't bring layer, it'll throw off your focus during the event if your too cold. 2) Better plan on bringing snacks and water. I've seen people bring duffle bags into the room with yoga mats, snacks, 4 Liter Milk jugs of water, you name it, I even watched one lady bring in a wheel-able cooler into the room. I usually went out on meal breaks and did fine, but I bought some granola bars and nuts. Whatever you do, maintaining your energy is a key for a good time. 3) I'll be honest - there's dancing. And a lot of it. Be ready to move your body. You won't be asked to do the cha-cha or fox trot, but they do this follow-the-leader thing, which was one of my favorite parts! I love it - but if you brought high-heels you might want to kick them off. Some people are turned off by the dancing at first, but they're usually less mobile, or were dragged in by their best friend or wife, which is fine, I mean, who knows when the last time they did the 1970's disco finger to "You Should Be Dancing" by the Bee Gees and felt like it? These first there points where the start of my wave - the more I experienced it, the more prepared I came to get the most juice out of the experience. Hope you found this starter blog helpful, I'll be writing more about the event - but this should begin to give you a picture of what's to come. That event has been one wave that I'll continue to dive after, to jump on it's crazy edges, and love every moment that it helps me unleash my potential. Much of what my name says, love to surf, love to go where my passions take me, and I love to meet amazing people.